In this tutorial you are going to learn an element of how to spy email by using a website to see if the recipient of the message has actually read the email. You are first going to need to navigate to the site “www.spypig.com”. Scroll down the page until you see the box with several entry fields, enter your email address in the top field, then enter the title for your message below this. You will then need to select an image to track the email, here we are using the blank white one. 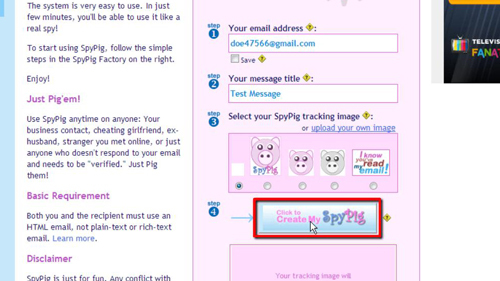 Click the “Create my SpyPig” option. Below this an image will appear (here a plain white square). Highlight this and then copy it to the clipboard. 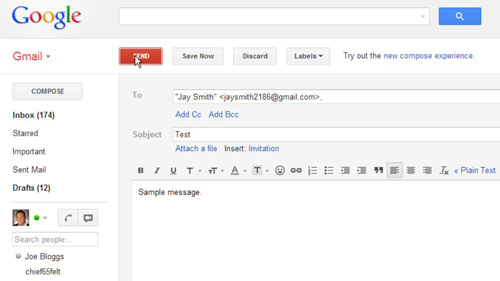 Now go to your email inbox and choose to create a new message, paste the image into the body of the message, then enter your text above it as you normally would. Enter a recipient and subject for the email then send it. You might be told immediately that the message has been read if your recipient is using Gmail, this is not correct, Gmail has just downloaded the tracking image. Once the recipient has read the email message you will be informed of this by the arrival of another message. 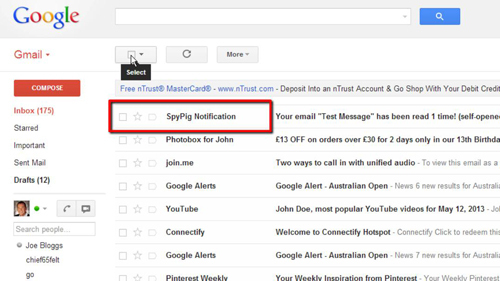 As you can see here after a while we get a second confirmation email and that is how to spy email using the SpyPig service.